An unbearably good burger, this puppy (or maybe cub?) has a double patty, cheddar, bacon, onion ring, bbq, lettuce and tomato. Thanks, Mexico, for this perfect hangover dish. 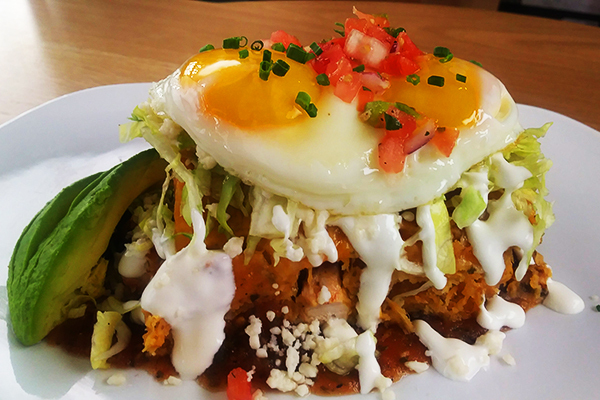 It’s built with corn tortillas, sunny-side up egg, black beans, roasted salsa and sliced avocado – order it with a little hair of the dog.